This patient is a 56 year old male smoker who presents with sudden onset of left sided chest pain and shortness of breath. Things are not always what they appear to be! List indications, contraindications, and limitations of Thoracic CUS. Identify clinically relevant sonographic anatomy. Preform the CUS protocols required. Recognize the relevant findings and pitfalls of pneumothorax, alveolar interstitial syndromes, pleural effusions. Lichtenstein DA, Mezière GA. Relevance of lung ultrasound in the diagnosis of acute respiratory failure: the BLUE protocol. Chest. 2008;134(1):117–125. Martindale JL, Noble VE, Liteplo A. 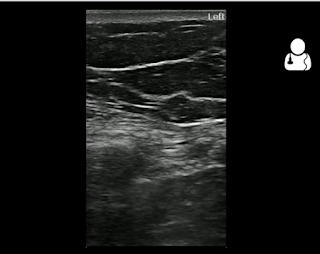 Diagnosing pulmonary edema: lung ultrasound versus chest radiography. Eur J Emerg Med. 2012;(Im):1–5.